The ordinance of the believer’s baptism is a marvelous picture of the Christian’s vital union, and identification with Jesus Christ in His death, burial and resurrection. There is a “wet” baptism and a “dry” baptism. The “dry” baptism is without water and is the work of God the Holy Spirit placing the believer in Christ the moment he believes on Him as his Savior. The “wet” baptism is the ordinance that Christ gave to the church. It is a believer’s baptism by immersion in water which presents in symbolism the Christian’s vital union with Jesus Christ. Take away the Biblical mode of baptism and you lose the vital theological message of baptism. “Do you not know that all of us who have been baptized into Christ Jesus have been baptized into His death? Therefore we have been buried with Him through baptism into death, so that as Christ was raised from the dead through the glory of the Father, so we too might walk in newness of life” (Rom. 6:3-4). The ordinance of baptism is a constant reminder of how we were redeemed. It is an outward symbol of an inward, silent and real experience. Baptism by immersion in water does not put the believer “into Jesus Christ.” The Holy Spirit did that when we believed in Christ. This is the baptism of the Holy Spirit in the life of every believer. Immersion is a picture of what the Holy Spirit did in our identification with Christ. Dead in Christ, risen with Christ. Buried with Christ, alive in Christ (Rom. 8:34). The burial confirms that we died with Christ. “Our old man was crucified with Christ.” Unless one die with Christ we cannot live with Him. All our condemnation and guilt were buried with Christ, and they remain buried. It is a blessing to know that all of our sins and transgressions are swept away by the blood of Christ and buried in the tomb (Ps. 32:1, 2). The believing sinner has learned to look into the grave of his Lord and see the burial of all his sins. There is no longer the burning resemblances, bitter accusations, and stinging reproaches of sin and guilt. Therefore the believer has learned to forgive himself in God's deep river of forgiveness. 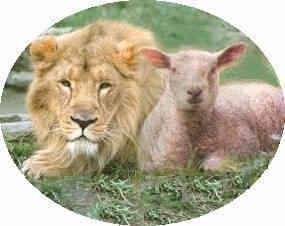 The believer needs to remind himself that every tinge of a guilty conscience is silenced by the atoning blood of Jesus. The tomb of Jesus is a shelter against the raging storm of the wrath of God. “Buried with Christ” tells us that our sin debt has been paid in full. We have propitiation in the blood of Jesus Christ. It is a constant reminder that we cannot enter into “the power of Christ’s resurrection” except through conformity to His death. “I am crucified with Christ” and buried with Him. The believer has died to the old life, and has been raised to enjoy a new life in Christ (Col. 2:12). We have been made alive in Christ. We stand on resurrection ground. We have the authority and power to live triumphantly over sin.